Mattress Protectors: Do You Really Need Them? From our waterproof mattress protector to our heat deflecting mattress cover, you’ll find exactly what you need to make your mattress last. The unique channel-weave of this popular product helps dissipate heat away from the mattress while wicking away moisture. If you have a foam mattress, it will also enhance its conforming aspect while minimizing complaints about heat. And it’s so stretchy, it’s perfect for beds with a power base. Finally, you’ll love that it protects your mattress from spills, dust mites, and other allergens. One of our most popular mattress protectors, this product has a full-banded elastic powerband to fit securely on your mattress. With a flexible cushioning layer that responds to motion, it keeps you cool and dry by deflecting heat, maximizing air circulation and repelling liquids. You’ll also breathe well and sleep well since pet dander and dust mites can’t make themselves at home in your mattress. This washable protector has a soft, breathable cotton terry surface that keeps you cozy in the winter and cool in warmer months. With a 100% waterproof barrier, it protects against accidents and spills and is anti-microbial as well as hypoallergenic. This sheet-style product fits your bed better than many other mattress protectors. It has a soft cotton terry towel surface for amazing comfort and absorbency, and it’s washable, breathable, waterproof, and prevents pesky allergens from breaking through. Whether you’re looking for a mattress protector in queen, king, or California king, this comes in every size out there. Looking for an eco-friendly, natural cover to protect your child’s bed? This one’s perfect. Its Smart Wash Wool™ lining creates a cozy surface to cradle little ones’ pressure points and reduce tossing and turning. The top natural cotton layer contains a thin Natural Silver barrier that blocks viruses, bacteria, dust-mites, mold, fungus and mildew. You’ll love that it’s washable and available in crib, twin XL, and full size. With BugLock® three-sided zipper and AllerZip® seal, you’ll never have to wonder how many bed bugs and dust mites are lurking in your mattress. This stainproof and waterproof mattress protector is breathable, cool and comfortable, allowing everyone in your family to sleep tight night after night. Looking to Add Comfort to Your Mattress While Protecting Your Bed? Mattress protectors are great for extending the life of your bed, but if you want to transform your current mattress into a luxury sleep surface without breaking the bank, check out our Mattress Topper. With dense gel cushioning, breathable and hypo-allergenic New Zealand Joma wool, silky bamboo knit fabric and more, you’ll be shocked at how comfortable your bed can be! Learn more about this bedroom essential. 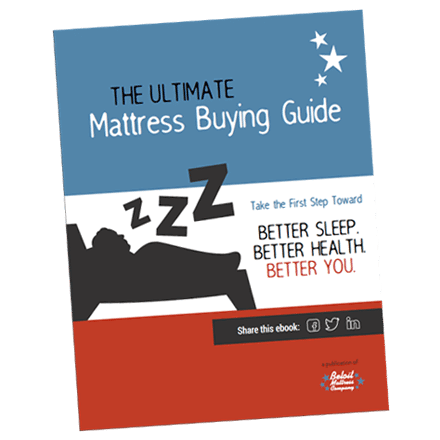 Shop Our Complete Line of Mattress Accessories Now! You’ll find plenty of mattress protectors and pillow protectors to fit your needs and budget on our website and in stores. Shop online or visit us at a location near you!